RICHARD BAKALOR is a founding member and partner of Quirk and Bakalor, P.C. His areas of practice include litigation, insurance, appellate, products liability and construction. Mr. Bakalor represents a diverse base of clients such as contractors, insurers, manufacturers and property and business owners. He has many years of courtroom experience on matters involving insurance coverage, products liability and New York State Labor Law. Mr. Bakalor handles cases from inception in the firm through discovery, depositions, motions, trials and appeals. Mr. Bakalor is admitted to practice in New York, the U.S. Court of Military Appeals, the U.S. District Court, Southern, Eastern and Northern Districts of New York, and the U.S. Court of Appeals, Second Circuit. Mr. Bakalor is an avid lecturer at St. John�s University Law School as well as at seminars conducted by The Defense Association of New York, the New York State Bar Association, various insurance companies, The National Otis Elevator Conference, The National Emerson Electric Company Conference. His lectures involve insurance issues, the New York Labor Law, indemnity and contribution, products liability, premises accidents and trial techniques. 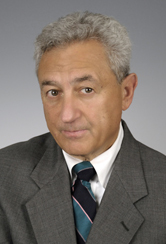 In 2009, Mr. Bakalor participated at a Demonstration of Trial Techniques of Construction Site Accidents program for the New York State Bar Association. In 2009, he participated in a Construction Site Accidents program for the New York State Bar Association and, in 2010, he participated in the Trial Techniques Program at Hofstra Law School. Through the years, Mr. Bakalor authored various and numerous articles regarding Labor Law, Indemnity/Contribution and Anti-Subrogation for different publications. In 2009 and 2010, Mr. Bakalor was designated a Super Lawyer for the Metropolitan Division of New York in the area of Civil Litigation Defense. Mr. Bakalor graduated from Columbia University and Columbia Law School. RLI Insurance Co. v. Steely, 65 A.D.3d 539, 884 N.Y.S.2d 120 (2d Dept. 2009) � Case of possible first impression setting forth that one insurance company can bring a declaratory judgment action against another insurance company without first settling the case if both companies allegedly insure the same insured for the same loss. Bartkowiak v. Medtronic, Inc., 64 A.D.3d 1165, 881 N.Y.S.2d 346 (4th Dept. 2009) � Determination that complaint fails to state a cause of action in bone tissue action. Great Northern Insurance Company v. Interior Construction Corp., 7 N.Y.3d 412 (2006) � Holding that General Obligations Law 5-321 does not preclude landlord from obtaining indemnity for its own negligence, as long as the parties have agreed to take out insurance covering the loss. Riegel v. Medtronic, Inc., N.O.R., 2003 WL 25556778 (N.D.N.Y. 2003) � Summary judgment granted against plaintiff based on federal preemption concerning a medical device, which determination was eventually affirmed in the United States Supreme Court. Aronov v. Bruins Transportation, Inc., 294 A.D.2d 523, 743 N.Y.S.2d 131 (2d Dept. 2002) � Modification of court below which had held client as sole owner of bus involved in multiple passenger accident, wherein Appellate Division held a question of fact existed as to who actually owned the bus at the time of the accident. Williams v. Niske, 181 A.D.2d 307, 586 N.Y.S.2d 942 (1st Dept. 1992) � First Court of Appeals case discussing the precise method by which the verdict reduction mandated by the General Obligations Law is to be computed when a high/lo settlement is made by one of the parties. Doundoulakis v. Town of Hempstead, 42 N.Y.2d 440, (1977) � Determination that equitable apportionment under statute among persons subject to liability for same injury to property is not limited to liability predicated upon negligence. North Star Reinsurance Corp. v. Continental Insurance Co., 82 N.Y.2d 281 (1993) � First Court of Appeals case to reject argument of pre-indemnity and then adopt argument of anti-subrogation. Carinha v. Action Crane Corp., 58 A.D.2d 261, 396 N.Y.S.2d 191 (1st Dept. 1977) � First Appellate Division case in the First Department interpreting the 1969 amendment to Section 240 of the Labor Law (crane accident case). Levine v. Shell Oil, 28 N.Y.2d 205 (1971) � One of the first Court of Appeals cases to state that a party can be entitled to indemnity for its own negligence, even if the indemnity agreement does not specifically include the term �negligence�. Russin v. Jackson Heights Shopping Center, Inc., 27 N.Y.2d 103 (1970) � Dismissal of Section 200 Labor Law case based on determination that general contractor does not have to provide a safe place to work when the accident occurs due to the employer�s own plant or work that is being done. · RLI Insurance Company v. William Steely, et al. · Bartkowiak v. Medtronic, Inc.
· Great Northern Ins. Co. v. Interior Const. Corp.
· Charles R. Riegel and Donna S. Riegel v. Medtronic, Inc.